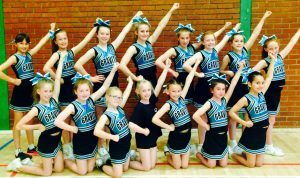 This is our newest section of Eclipse Gymnastics, growing very fast with just short of 40 members aged from 4 to 16+ for girls & boys. 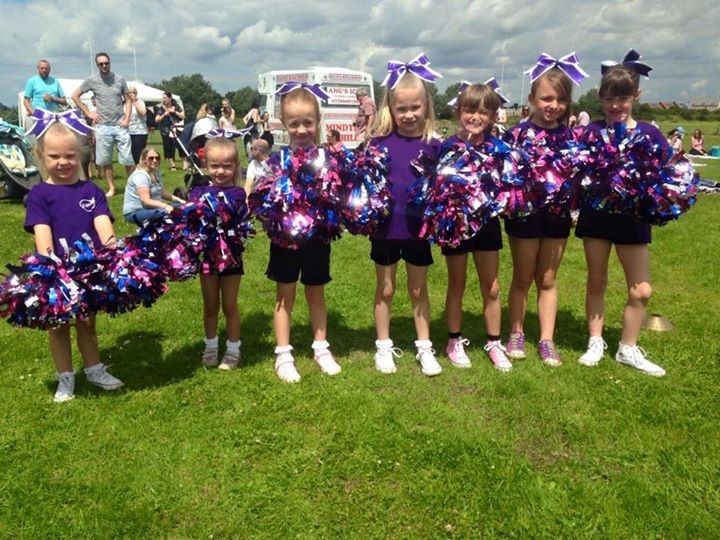 The Allstars group are from ages 4+ learning basic cheer chants, dance routines & basic gymnastic moves with the aim to combine all into a Group routine to perform and introduce Eclipse at our many indoor & outdoor events. This really is a friendly & fun loving group to be a part of. Our newly created group are training in the more advanced cheer moves with flyers & spotters, tumble & routines. Gravity are dedicated to achieve high standard at all times during our many difficult performances indoor and outdoor come rain or come shine! CLOTHING Both groups have a specially designed outfit & bows for out performances - take a look at our photos! For more information please see a coach. A huge thank you to our donators and club sponsors!